Move over, 1984. There’s a new dystopian novel topping the charts. 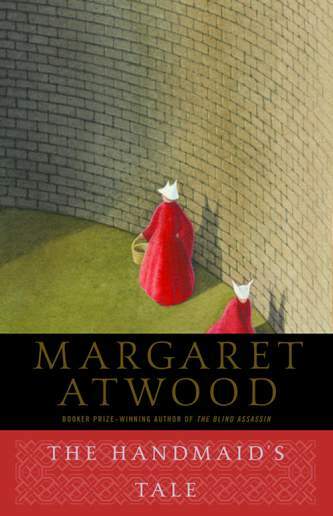 Margaret Atwood’s The Handmaid’s Tale has just become the best-selling book on Amazon.com. “New,” of course, is a relative term. 1984 was published in 1949, yet just two weeks ago it topped Amazon’s best-selling list after Kellyanne Conway infamously used the term “alternative facts.” Atwood’s novel, meanwhile, was published in 1985. But it, like 1984, depicts a stark future for a world led by an authoritarian government. The reason for the immediate spike in the book’s popularity is likely its upcoming television adaptation, which will air on Hulu and stars Jordana Blake, Elisabeth Moss and Joseph Fiennes. A trailer for the upcoming show dropped during the Super Bowl, which was watched by more than 111 million people. Of course, a Super Bowl commercial alone wouldn’t likely cause such a spike – if it would, everyone would be buying Mr. Clean products or bottles of Bai. Dystopian fiction, as The Washington Post’s Ron Charles noted, has seen a recent uptick since the election of President Donald Trump. “Ray Bradbury’s Fahrenheit 451, Aldous Huxley’s Brave New World and Margaret Atwood’s The Handmaid’s Tale have all risen up the latest paperback best-seller list,” he wrote. Some find this to be a fitting cautionary tale in a new administration that many claim doesn’t respect women’s rights, so much so that more than 1 million people gathered in Washington the day after Trump’s inauguration to show support for a variety of women’s issues.